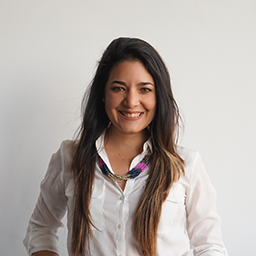 Born as a natural leader, Violeta graduated from a Bachelor in Marketing and Communications. She has always been passionate about marketing and leading projects throughout her career. She likes connecting people, growing in teams across functions, operations, and different cultures. Sharing experience and knowledge that leads to a learning organization. She anticipates situations and takes responsibility to overcome them. Violeta is an enthusiastic person and grateful for life. She is happily married and loves being Nicolas' super mom. She is a chocolate lover, a fearless singer, and her favorite color is Violet. What we do in life, echoes for eternity.